Friction materials generally may contain up to 20 different ingredients. Considering that each raw material has its intrinsic variability, the effects that the variability can generate on the final product are evident if there are no well defined strict tolerances on the characteristics under control. The ingredients used for the preparation of friction material (NAO or Low Met or Semi Met) can be divided in few categories: binders, metals, fibers, fillers, abrasives and lubricants. Tolerances are defined based on laboratory analysis and technical papers of the suppliers. Each ingredient has a specific role and can modify the characteristics of the final product. Density, porosity and compressibility can be influenced by phenolic resin variability, while friction level can be modified by different lubricant / abrasives ratio. Mechanical strength depends on fiber type and content (metallic, inorganic and organic). The control of the incoming batch of raw materials is mandatory to maintain under control all the characteristics of the friction material and prevent issues in the market. Dr. Sales has a degree in chemistry and since 1986 he has been working at ITT in R&D departement in friction development, first as compounder, followed as global project mangement director and now as friction global application director. The process of vehicle emission reduction had a long time only the engine in focus. With the new emissions standards, the engine emissions are lower than the emissions generated by abrasion of tires and brakes. Consequently, R & D now turn to the brake missions. In many places now objectified measurement standards for brake particle emissions will be developed. An analytical approach evolves from the boundary layer dynamics of brake pads, which reveals more and more the central role of wear for the emergence of friction and emission dynamics. The talk will concentrate on European activities in measurement and show some new research activities in emission generation by friction in brakes. He is professor and head of the Institute of Dynamics and Vibrations (IDS) at University of Braunschweig. He has about 30 years of experience in industry and University on friction and brakes and published more than 250 papers. He got several Awards, f.i. the Lloyd L. Withrow Award and the Dan Mahanna Achievement Award. He is member of the Steering Committee of eurobrake and of the Advisory Board of the SAE Brake Colloquium. Software development has progressed to a state where the engineer needs to input only base information and the result is provided by an appropriate program. This is excellent for time savings within the industry but a complaint by many senior engineers is that new recruits can readily operate the programs but rarely understand the fundamentals driving that program. As such they are not able to modify, develop or “tune” it to suit the differing needs of a company and indeed “add to” or move towards optimizing a brake design. More important is that there is a blind faith in the answer with little recognition of potential issues – NVH being at the forefront of many braking problems. This presentation will consider the important aspects of brake design – brake sizing, load transfer & brake balance, electronic braking distribution (EBD), ABS, thermal aspects& NVH. There will be consideration given towards electric braking including energy recovery systems. It is expected that a case study of a tractor/semi-trailer will serve to demonstrate the difficulties of brake design when the load magnitude and position is generally unknown. Such situations demand a common approach (a standard) but this tends to existing problems not being addressed – trailer slew, jackknifing and rollover. 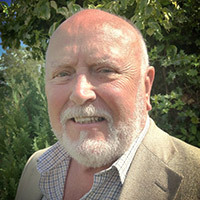 John retired from Huddersfield University where he developed a brake noise research center, an automotive research and teaching laboratory and a mechanical engineering design studio. He became Visiting Professor at Bradford University and helped develop their current braking research center. He continues to teach vehicle mechanics, performance, steering and suspension systems at Leeds University and is an active advisor to industry. The education of automotive engineers to meet the challenges of the 21st century. Brake design with an emphasis on NVH issues. The electric vehicle (EV) technology has become a promising technology to reduce the tailpipe emissions and greenhouse effects. Even though the global cumulative number of PHEVs & BEVs was reported to have reached over two million in 2016, it was still less than 0.2% of total vehicles in stock. The challenge is the battery technology improvement that the cost of batteries should decline and energy density should increase to close the gap of total cost of ownership between EVs and internal combustion engine vehicles without government subsidy. However many countries are setting up the target for EV, and it is expected that the number of electric vehicles could reach the 30% market share in 2030. In 2015, the Royal Thai Government has officially started to promote the electric vehicle technology in Thailand. The target of EV action plan (2016-2036) was introduced with an aim of 1.2 million passenger plug-in electric vehicles (PHEV & BEV) and 690 EV chargers by 2036 contributing for CO2 reduction of 1,123 thousands tones of oil equivalent. This presentation will give a brief introduction on the electric vehicle technology and updates on the EV policy and support mechanisms in Thailand. Dr. Yossapong Laoonual is one of founding members of Electric Vehicle Association of Thailand (EVAT) and currently the first elected President. He is currently academic staff at the mechanical engineering department at King Mongkut’s University of Technology Thonburi (KMUTT). He has served on a number of committees in both government levels and volunteer based society. He was an adviser on sub-committee on study of electric vehicle usage policy and investment promotion of electric vehicle industry, national legislative assembly. Currently he is a subcommittee member on regulatory control of air Pollution from motor vehicle, under pollution control committee, national environment board. We need the brake in vehicle to bring it to a halt, or to reduce speed while travelling. While the concept is rather simple, what happens in the real world is a totally different story. Philosophically, we allow human to operate road vehicle (“the machine”) without so much restrictions or control as in the aviation industry or even in maritime. Humans are weak when they are exposed to power (speeding over the limit), easily get distracted, and being too optimistic and over confident. All these bad qualities in the road safety system originating from human have made the system not sustainably safe. The inventions on braking technologies today are actually responding to the above mentioned problems, and this includes the idea to have autonomous vehicle. The available technologies are centered on the effort to overcome the weaknesses of human beings, e.g. to assist drivers to brake on time, to estimate and reduce headway distance, etc. It is predicted that in the (near?) future, humans do not need to drive a vehicle; hence, the future of braking technologies should no longer consider human factors in the entire design. 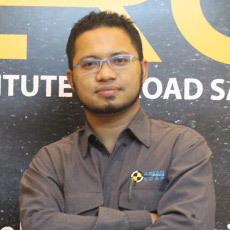 Mr. Zulhaidi was graduated in Systems and Control Engineering from Case Western Reserve University (Ohio, USA) in 2006 and straight away started his career as Research Officer at the then newly established Malaysian Institute of Road Safety Research (MIROS) in early of 2007. As one of the pioneers of MIROS, he has vast experiences in road safety research and development projects. He has involved in the continuous study on “driver education reform” since day one until today, had served the crash reconstruction team as crash analyst (2007-2009), actively involved in the development of MIROS PC3 crash laboratory (2009-2013) and the inception of ASEAN NCAP (officially appointed as the Communications Manager, 2012-2014). He is also actively publishing articles on his personal study coined as the “automotive ecosystem in Malaysia”. He is currently pursuing his post-graduate study at one of the Malaysia’s reputable universities (UKM) on the “systems thinking” and “systems engineering” perspective with regard to current road safety issues. Brake friction, wear and NVH are influenced by friction materials, rotors, calipers, brake system assembly and humidity. The influence of friction materials on brake friction, wear and NVH has been widely studied and reported. However, the influence of the rotors has not been well studied and reported in spite of the fact that the rotor can wear at the same rate as friction materials, measured in weight. This presentation will address the influence of rotor metallurgy and design on friction, wear, NVH and brake emissions. Dr. Rhee received his Ph.D. degree in Materials Science from the University of Cincinnati. He is also currently Executive Technical Advisor (Brake/friction materials), Hyundai Mobis R&D, KBAutosys, Korea and other companies around the world. During the span of his career he held several key senior management positions in R&D/Engineering, product development, commercialization, plant operations and general management; expertise in friction materials (pioneer of asbestos-free friction materials; inventor of Friction Materials Formulation Guidelines), brakes and brake NVH. To his credit he held 15 US patents, inventor of Semi-met, published over 90 scientific/technical papers, co-edited 3 books. Status Report ISO Sub-working Group "Brake Linings and Friction Couples"
Brake / friction material testing consumes a major part of development costs and time. The global character of car business requires global test specifications. An overview will be given on new standardization projects and existing standards under review. Activitities equally relate to passenger car and commercial vehicle brakes, discs and drums. New activities pay specific attention to regions which were not sufficiently integrated in previous standardization efforts like Asea and South America. Panel discussion on "Voice of OEM/Tier1/Tier2"
Responsible for overall brake performance, especially Pedal Feel and Friction. Completed Master degree of Material Science, Tokyo Institute of Technology in 1985. Join Toyota Motor Corporation after the college. Work on the Brake System Development from entering the company until now. Dr. Schumacher received the Diploma in Physics from Technical University of Aachen, Germany in 1978 and Ph.D. in Material Science from Technical University of Hamburg, Germany in 1984. He had been responsible for Global Friction Engineering of Honeywell since 2002. Since 2014, he has been responsible for the combined global Engineering of Federal Mogul MOTORPARTS Braking. Until summer 2015, he is the head of the German Friction Association VRI and member of the board of the European Friction Association FEMFM. Yoshiki Matsuzaki - Managing Officer, ADVICS CO., LTD. Hybrid Vehicle should increase near future to reduce CO² emission. ADVICS has provided By-wire cooperative regenerative Brakes to Hybrid vehicle. From our investigation, Usage of hydraulic brake with Hybrid Vehicle is too much lower than one with conventional vehicle. As a result , pad’s wear gets smaller. It’s good for dust emission. On the other hand , New issues results from the rust of rotor happen. ADVICS develops the balancing pads between adhesive and abrasive to resolve these issues. 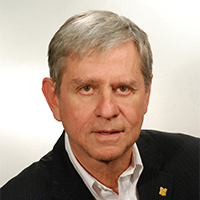 Mr. Aono has more than 40 years of experience in the automotive industry. He started as a design engineer for Actuation and Foundation at Tokico (now Hitachi Automotive Systems). Afterwards he worked as application and sales engineer at Allied Signals in the field of friction material. Thanks to his profound knowledge of brake components and friction material he could contribute over many years as Full Brake System (FBS) expert at Bosch. Right after EPB has become part of the brake portfolio, he is utilizing his component and system know-how in the EPB product management. Since 2014 he is engaged as consultant in the product management and marketing of Chassis Brakes International in Japan. In this function he is involved in various global Foundation projects of Japanese OEM including EPB. Panel discussion on "Regional Aftermarket for Friction Materials"
Prior to joining FMP Andrew worked for the Department of Defense, at a vehicle proving ground as a result of studying electronics at RMIT. Andrew joined FMP in late 1999 as a test engineer this position was held until 2001 when an opportunity as Applications Engineer arose which consisted of supporting the Bendix™ aftermarket products, introducing new NAO materials, and completed an MBA in 2004. 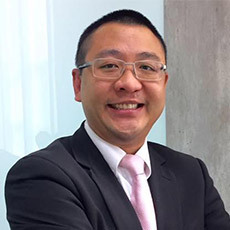 In 2005 Andrew and his family were moved to Malaysia where Andrew provided product engineering support for the region and developing new business across the South Eastern Asian markets, providing a broader understanding and appreciation of Asian markets and culture. Upon returning from Malaysia in 2007 Andrew was promoted to managing the Product Engineering area, responsibilities are friction material development, applications engineering and testing. In Andrew’s spare time he enjoys travelling and all things automotive. Distibutor of Don Mintex friction materials throughout South Africa in the 1980’s. with branches throughout South Africa. I then joined Fichtel and Sachs PTY(LTD) well known manufacturer of clutches worlwide as Sales and Marketing Manager OEM P&A Sales. In 1994 I started a new Distribution Network for Fichtel and Sachs. Force Automotive (PTY)LTD was started 1994. Force Automotive(PTY) LTD has grown into the biggest distributor for Clutches in South Africa. We then took over ACMC Automotive independent franchises of Clutches and Friction materials and started trading as ACMC(PTY) LTD.
ACMC(PTY) LTD started TRAXX SA (PTY) LTD 20001 as a seperate Division for Friction Distribution only. I am still today the Owner and Chairman of ACMC and TRAXX SA group of companies. Personal interests are Golf , Deep Sea Fishing and the Chairman of our Provincial Old Players Rugby Club for the past three years. A 40 year veteran in the Friction Materials Business. Experience included Global OE and Aftermarket projects. Providing a Professional and proactive interface to the various customers; OEM’s/Tier 1’s/Suppliers and market. Started my career in the UK with Ferodo (now Federal Mogul) and moved to the USA in 1996. Joined Honeywell Friction materials (Bendix/Jurid) in 1999 through December 2014. In 2007 I accepted a position Global Director Of Aftermarket Engineering. The primary role was to transition the Global Aftermarket business to a “Buy Model” Vs the current Make Model. In 2015 I joined Hi-Pad Brake Technology as VP Engineering, the primary objective being to help re-align the Companies Business Model to secure growth in the USA aftermarket. Personnel interests are; Travel, Networking, Cycling and Golf. After studying Materials Science and Metallurgy, Nicholas started in the brake business by looking at transfer films on brake discs with the Scanning Electron Microscope in a university research programme. 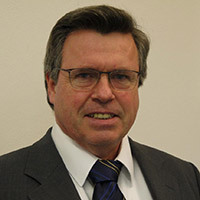 Following this he worked at TMD Friction in Research and Heavy Vehicle Brakes Development for 5 years in the early phase of air disc brake adoption, then as a friction and NVH specialist at Bosch in France, Japan and the USA. Currently he is Research and Development Manager at Roulunds Braking a member of MAT Holdings Inc and is still fascinated by the endless possibilities of formulating friction materials. Aman Rathee - Director, ASK Automotive (P) Ltd.
Aman Rathee received a BS degree in Computer Science in 2003 and MBA from Purdue University, USA in 2006. Soon after receiving the MBA degree, he joined his family owned company ASK Automotive (P) Ltd. (a leading manufacturer of two wheeler brakes for all OEMs in India). On joining the business he took the company a step further and entered the Independent AfterMarket, which so far was dominated by unorganized sector. In a short span the group achieved the No.1 position in IAM. He played a key role in taking the company to a new height. The company diversified in the field of Aluminum Pressure Die Casting, Machining, Painting and Assembly of Auto Components (Both 2 wheeler & 4 wheeler). The company revenue increased 10 times and the customer base doubled by adding many global companies. As very active member of the strategic team of the group, he is playing a key role in adoption of international best practices in the group and also he understands the national and international business environments.